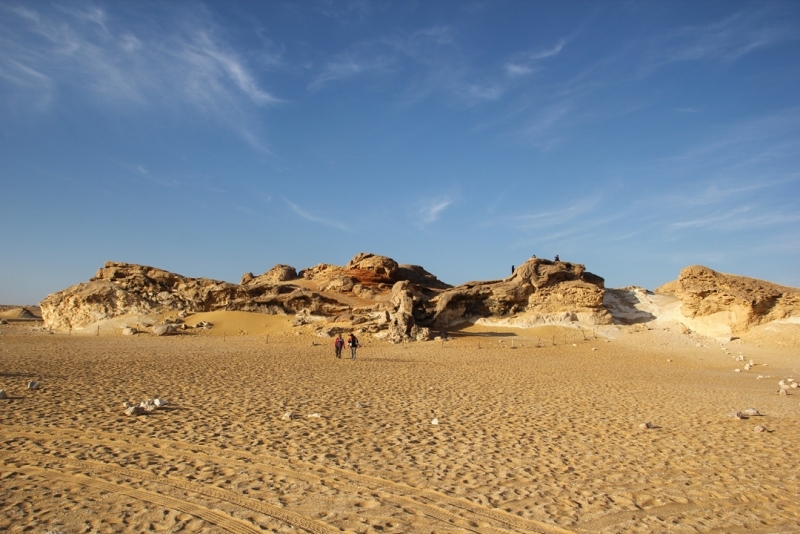 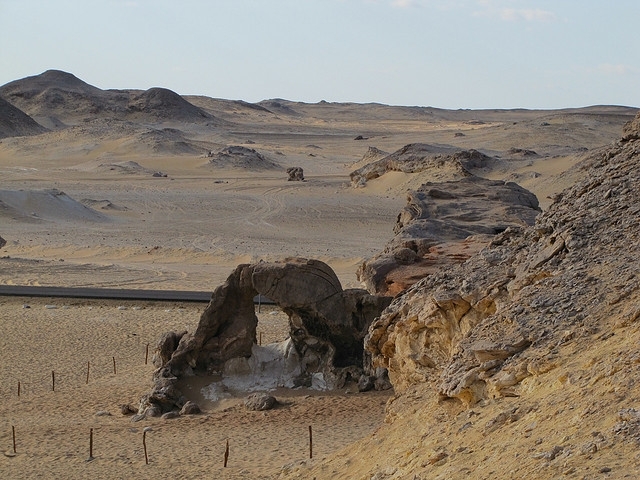 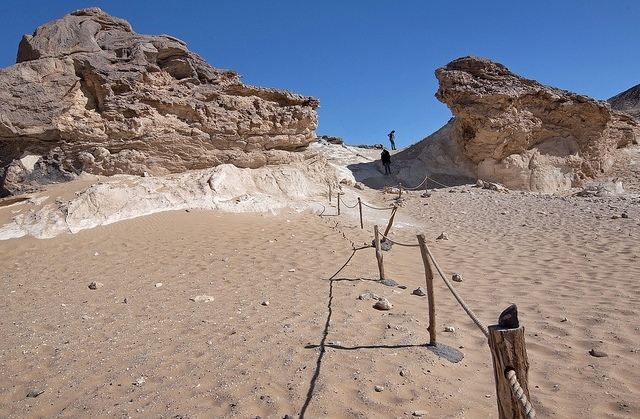 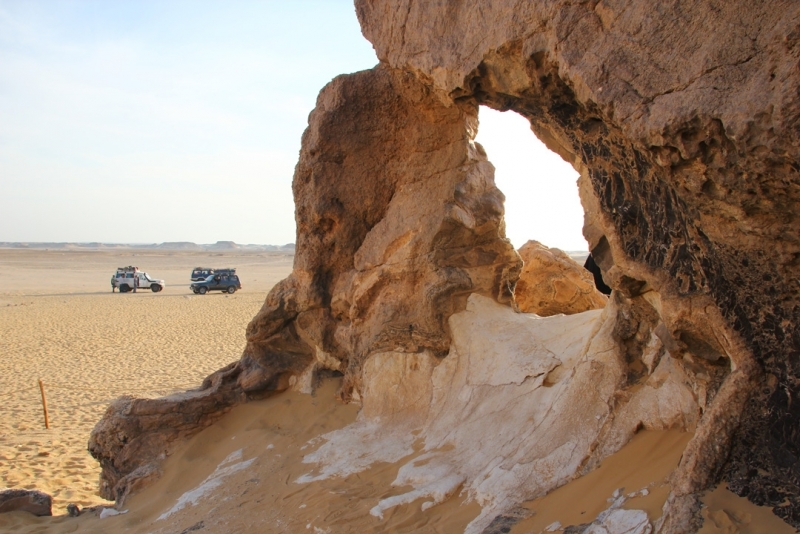 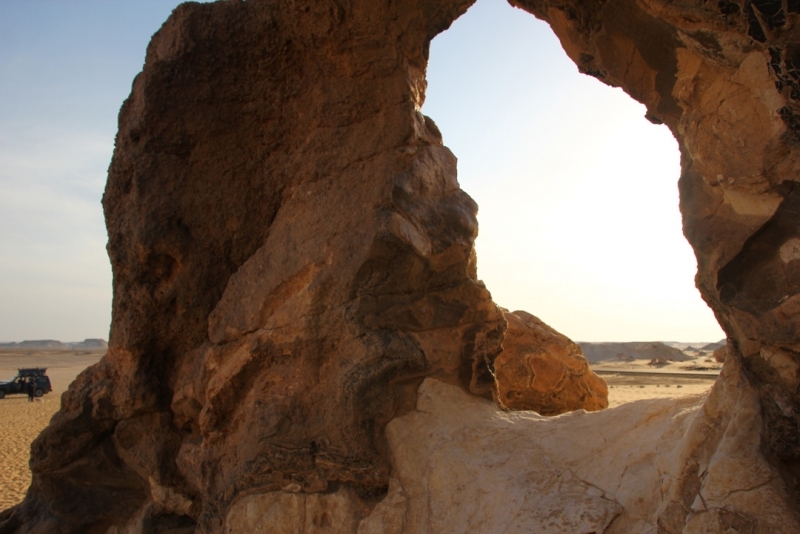 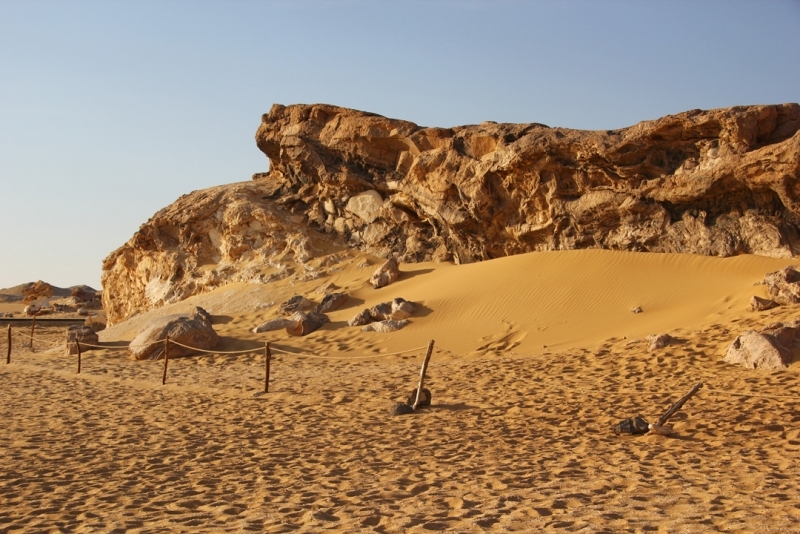 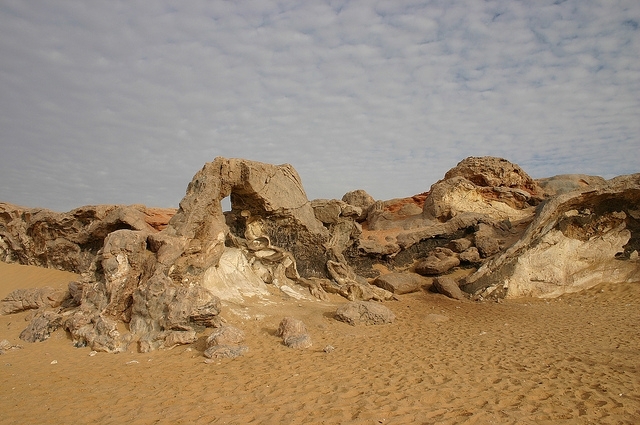 The Crystal Mountain is an obligatory stop for adventurous safari tours in the Oases of Egypt in the White desert . 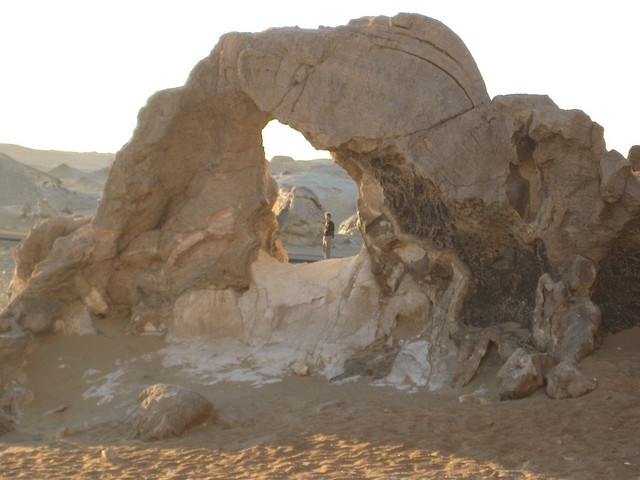 A small natural arch in the rock and the glittering calcite crystal walls make it a perfect place to pose for photos. 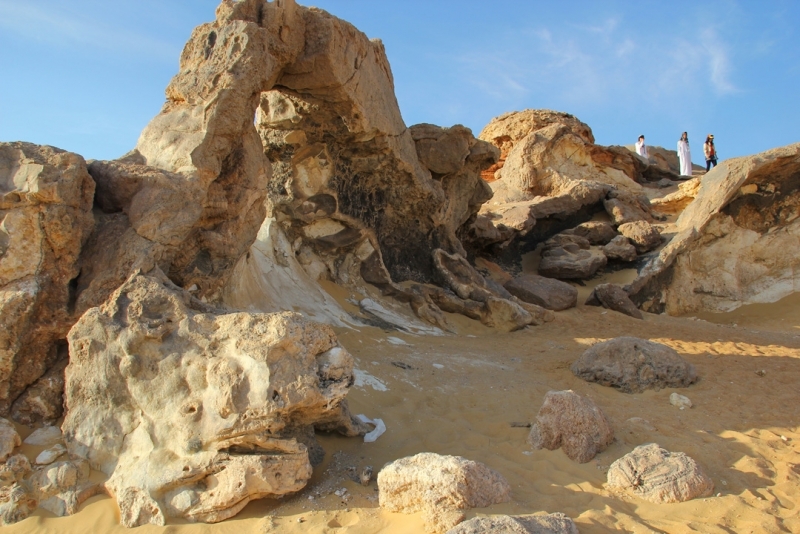 This is what geologists call an exhumed cave , a cave complete with stalagmites and stalactites that has been thrust upwards by earth movement and with time has lost its roof to erosion and has almost weathered away. 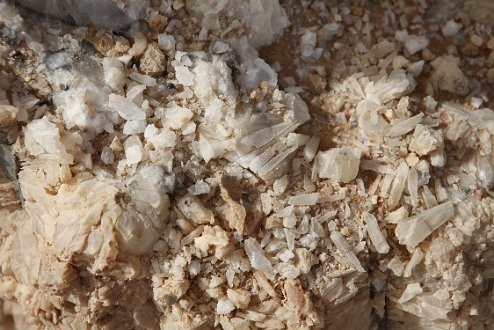 The calcite crystal developed in paleo caves of khoman chalk.